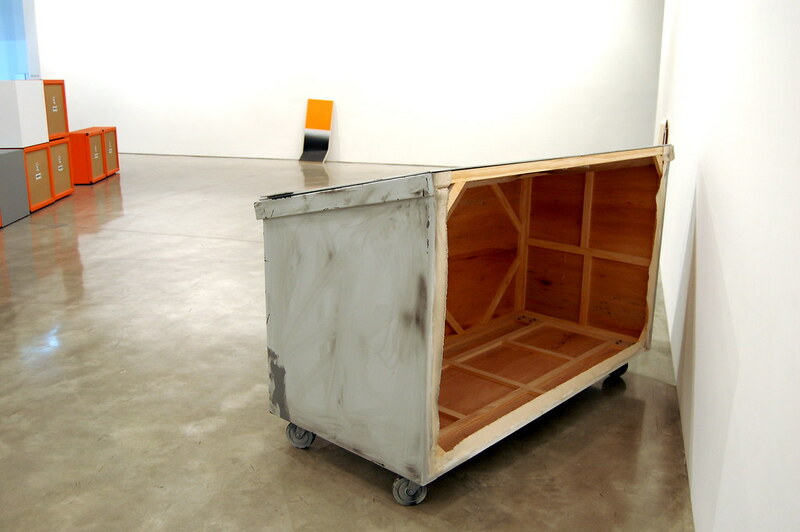 Kaz Oshiro makes paintings and sculptures simultaneously, stretching canvases around simple plywood constructions and then painting them to resemble items like refrigerators, microwaves, and fluorescent Jules Olitski paintings that have slipped their moorings and crumpled onto the ground. 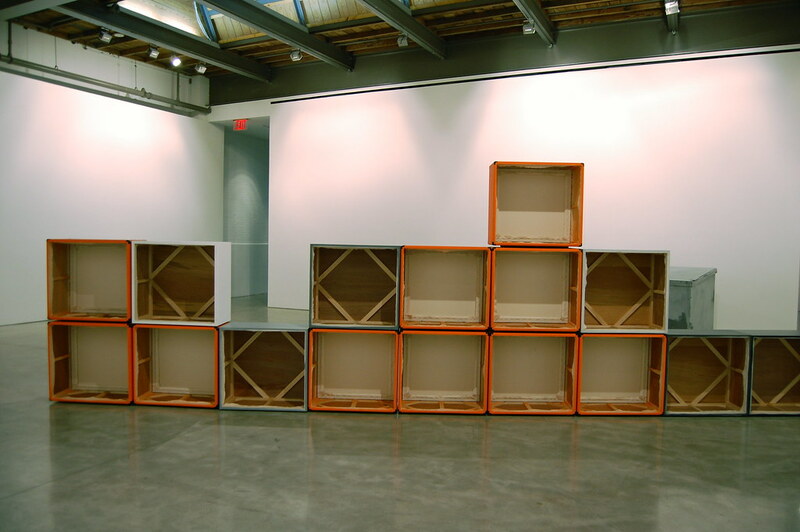 His immaculate reproduction of a classic Fender amplifier was the highlight of his last show at Yvon Lambert, though he’s switched here to Orange brand speakers, which just happen to approximate the hue of orange that Donald Judd favored. 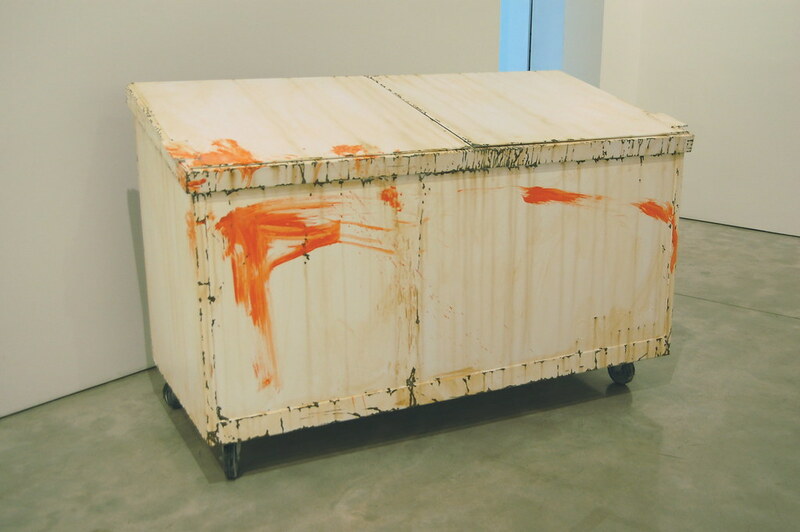 The 12 cabinets he’s spread across the floor look real, though, like two nearby trompe l’oeil garbage Dumpsters with delicately painted patches of rust, they broadcast a feeling of uncanny weightlessness. Walking around them, one discovers bare backs and hollow centers, the secrets of the phenomenological tricks that Oshiro fashions out of minimalism’s legacy. In the process of crafting these pleasures, Oshiro also provides a smart prelude to a hidden treasure: three early Robert Ryman paintings hanging silently in the gallery’s front room, slowly taking on the soft, natural patina of time. 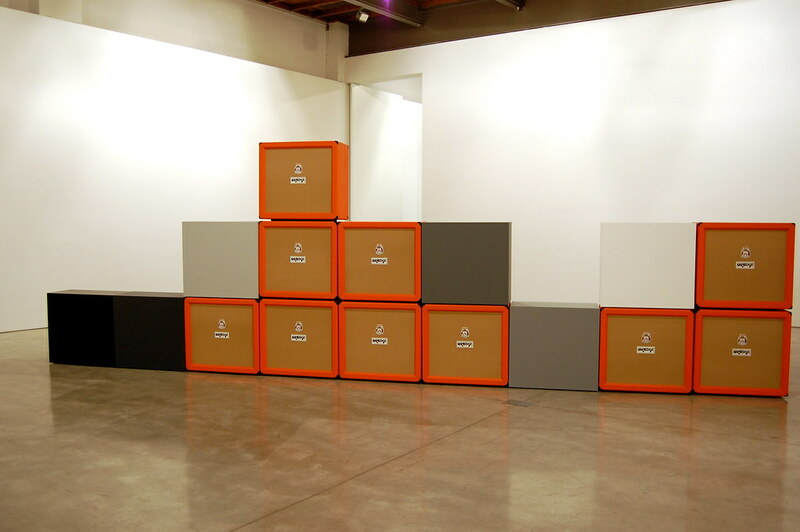 Kaz Oshiro, Orange Speaker Cabinets and Gray Scale Boxes (18 Parts) [installation view], 2009.